Mr. Stidham is an investment banker with over 25 years of experience in mergers and acquisitions. As a Senior Managing Director for Generational Equity Mr. Stidham’s role is to assess the marketability and suitability of businesses and their owners that are seeking an exit strategy. Prior to joining Generational Equity, Mr. Stidham was a New York Stock Exchange and National Association of Securities Dealers’ Registered Principal. 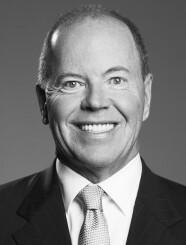 He has held leadership positions for entrepreneurial organizations as well as Fortune 500 companies, including State Street Corporation and RSM. Mr. Stidham speaks the language of both the seller and the buyer having vast experience working on both sides of the transaction. Specializing with middle market companies, he has been instrumental in aiding thousands of business owners prepare their businesses for a sale. Mr. Stidham is a graduate of E. J. Ourso College of Business at Louisiana State University. His published views on the M&A process, combined with an in-depth understanding of the constantly changing global capital markets environment are of key interest to business owners who are considering the ultimate disposition of their companies.